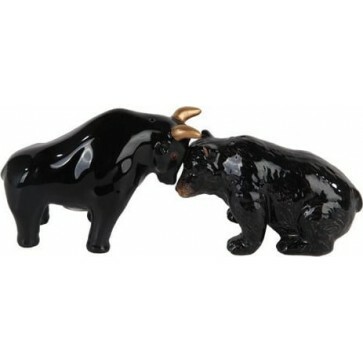 The Bull & Bear Battle ceramic salt & pepper shakers are the perfect addition to your kitchen! 3.25 inches tall, not dishwasher or microwave safe. Features a magnetic insert to hold the two shakers together.